Success! 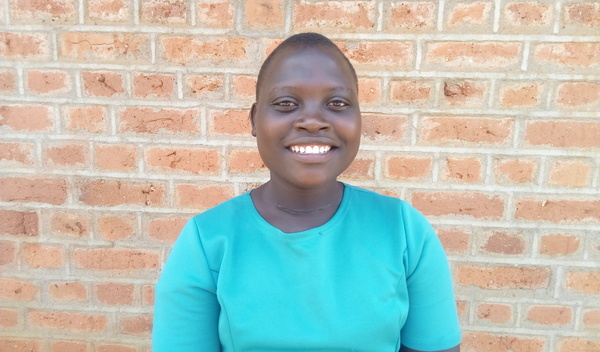 Sarah from Kenya raised $641 to fund thyroid surgery. Sarah's treatment was fully funded on August 8, 2018. Surgery was successful. She hopes to return to her studies soon. Sarah is a student from Kenya. Her parents are farmers. They plant maize in a small farm. Two years ago, Sarah began to experience troubling symptoms, including weight gain, dizziness, and a neck swelling. She was diagnosed with a multi-nodular goiter. She needs surgery to prevent her symptoms from getting worse. Our medical partner, African Mission Healthcare Foundation, is helping Sarah receive treatment. 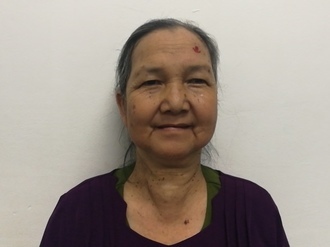 She is scheduled to undergo a thyroidectomy on June 12 at our medical partner’s care center. Surgeons will remove all or part of her thyroid gland. This procedure will cost $641, and she and her family need help raising money. Sarah's case was submitted by Joan Kadagaya at African Mission Healthcare Foundation in Kenya. 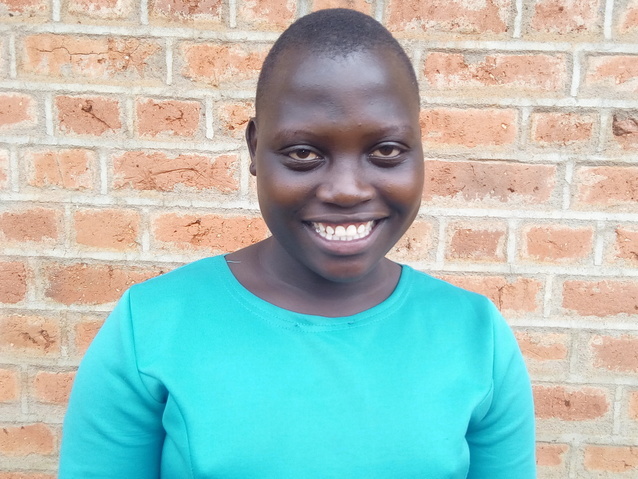 Sarah was submitted by Joan Kadagaya, Curative Medical Support Program-Partner Representative at African Mission Healthcare Foundation, our medical partner in Kenya. Sarah received treatment at AIC Kapsowar Hospital. Medical partners often provide care to patients accepted by Watsi before those patients are fully funded, operating under the guarantee that the cost of care will be paid for by donors. Sarah's profile was published to start raising funds. Sarah's treatment was successful. Read the update. Sarah's treatment was fully funded. The thyroid gland is an organ located in the front of your neck. It releases hormones that control your metabolism (the way your body uses energy), breathing, heart rate, nervous system, weight, body temperature, and many other functions in the body. When the thyroid gland is overactive (hyperthyroidism), the body’s processes speed up and you may experience nervousness, anxiety, rapid heartbeat, hand tremor, excessive sweating, weight loss, and sleep problems, among other symptoms. Thyroid surgery takes approximately three to eight hours depending on the patient. Patients will stay in the hospital for a maximum of six to eight weeks or as needed for recovery. A patient will usually have one follow-up appointment in six weeks. In case of thyroid cancer, the surgery is the patient’s best chance of preventing the spread of cancer and saving the patient’s life. In cases of hyperthyroidism, the treatment helps stabilize the hormones that regulate metabolism and effectively treat some of the patient's symptoms such as rapid heartbeat, anxiety etc. Thyroid surgery is often 90% curative should diagnosis be done early. For benign tumors and hyperthyroidism, the surgery is more than 90% curative. The surgery comes with few risks. The hospital is a mission hospital in a remote area and patients may come from far away to access treatment. In Kenya, surgery is the only treatment offered for thyroid cancer and hyperthyroidism. This is because radiotherapy and medication alternatives are not easily accessible. Also, the cost of treating with radiotherapy and medication is higher than that of surgery. Fiyas is a 54-year-old fisherman from Cambodia. She has four daughters and seven grandchildren, and enjoys going to the temple in her free time. Two months ago, Fiyas developed a cataract in each eye, causing her blurry vision, irritation, and tearing. She has difficulty seeing things clearly, recognizing faces, and going anywhere outside. When Fiyas learned about our medical partner, Children's Surgical Centre, she traveled for one and a half hours seeking treatment. On April 4, doctors will perform a small incision cataract surgery and an intraocular lens implant in each eye. After recovery, she will be able to see clearly. Now, she needs help to fund this $398 procedure. She says, "I hope that after my surgery, I am able to go outside by myself and help take care of my grandchildren." 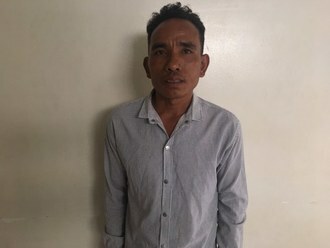 Vannorn is a 34-year-old teacher from Cambodia. In his free time, he likes to sing karaoke and play with his son. When he was nine, Vannorn had an ear infection. This infection caused the tympanic membrane, or the ear drum, in his right ear to perforate. For this reason, Vannorn experiences discharge, tinnitus, irritation, and itchiness. He has a difficult time listening to others and struggles to get through daily activities. Vannorn traveled to our medical partner's care center to receive treatment. On April 4, he will undergo a myringoplasty procedure in his right ear. During this procedure, surgeons will close the perforation. Our medical partner, Children's Surgical Centre, is requesting $423 to fund this procedure. This covers medications, supplies, and inpatient care. He says, "I hope that after my surgery is complete, my hearing will improve and heal without any more infections."